Product code: 92605 Categories: Jovani, PROM+HOMECOMING. 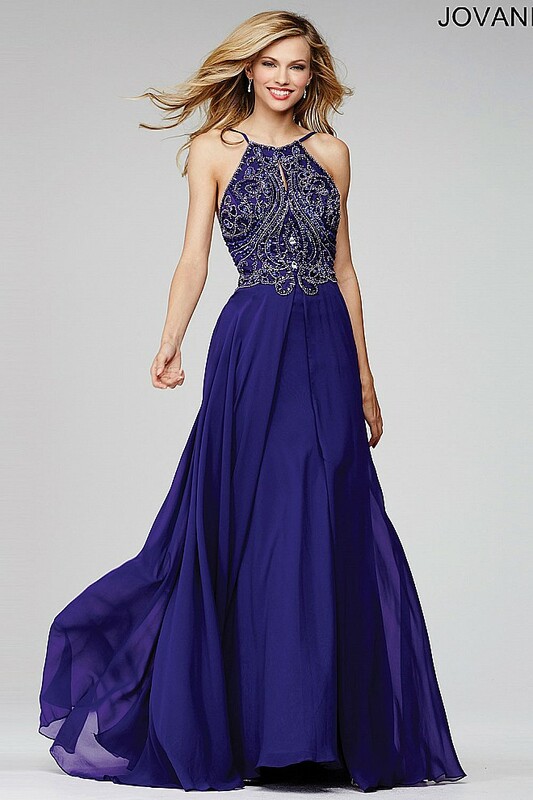 This purple prom gown from Jovani is a beautiful chiffon dress with bold jewel tones and a crystal encrusted bodice. This full length gown features a sultry open back. The halter neckline is flattering for every body type. The dress is made from a rich chiffon and is fastened with a concealed zipper in the back. Starting at the natural waistline this chiffon gown will flow with your every move. Available in twelve different colors, this dress will bring out your inner princess.